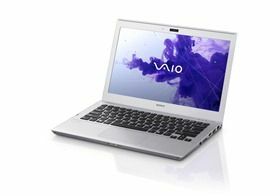 Sony is pushing a 9hr battery life for a T13 SSD / Core i5 model which, given the weight of 1.5KG (1.6KG for hybrid model) means there could be an HP Folio-like battery setup inside. Connectivity looks good and there’s a VGA port not mentioned in the specs. As for the T11 model, we haven’t got formal specs yet. Given the positioning, we’re not expecting it to break any weight records. We’ve just had the German press release. The T11 (PDF here) shows the specs for the T11. Not that the battery looks like it could be removable and the same part on both the 13 and 11” devices. The T11 should be available in Germany from the end of May . 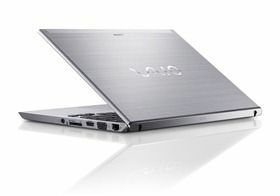 For reference, a 699 Euro price matches the lowest price for a 13” Ultrabook in Europe. “budget” price for Sony is regular price for everyone else. Only thing that interests me is the SSD/HDD combo. Most of these so-called hybrids are just standard HDD’s with huge amount of cache. The MUCH more ideal solution would be the entire OS be on the SSD (C:) & the data be stored on the HDD (D:). 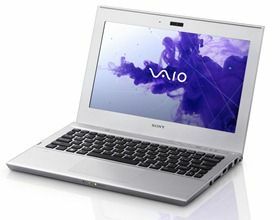 could this sony product be an alternative for me if i shy away and want to jump ship because of the high price tag on the samsung series 9 ? if the 13 inch model also comes as a full ssd version and weighs 1.5 (less then the HP folio) and if it featured a matt screen for outdoor use, i would think about it . The prices certainly bring the device into the right zone but I agree with you on availability too. June is a year after 1st-gen Ultrabooks were launched! Supposedly the Ivy Bridge versions will arrive in about 2 months. Too bad there won’t be any option to upgrade the screen. I am surprised Sony brought ultrabooks under the VAIO brand for this kind of price. « Samsung Series 5 NP530 Update Leaked. Ivy Bridge, New Ports.